One of the quintessential examples of fame gone wrong, the public turned on Vanilla Ice almost as quickly as he rose to fame. One of the biggest drawbacks of social media is that it connects us closer to others we don’t know. And by doing so, it tricks us into thinking we know them. This is why when we hear of the suicide of some celebrity, the immediate reaction is one of shock. But they had everything? They seemed so balanced? We try to imagine the circumstances that may have led to them taking their lives when many of us would gladly wish to live in their shoes. Or would we? That’s the challenge I’ll pose. I have the unique experience of being educated for a semester in East Berlin, where my professors lived under the former DDR (Deutsche Demokratische Regierung). I’ll never forget one professor in particular whose job as a youth was to read through people’s mail and remove any Western propaganda. Such a story sounds almost fable-like to those who didn’t live under this system, but it didn’t happen so long ago, which means it could easily happen again. If you view certain regions of Germany on Google Street View, you’ll find they’ve asked for their storefront to be blocked out. Many of my German friends are far less active on Facebook, and many use fabricated names to hide their identity. Why are Germans so concerned about their privacy? The answer is that not so long ago it was once taken from them, and they’ve learned what to watch out for. Privacy and anonymity are invisible, intangible rights that most of us take for granted, and in many cases barely think about. Personally, I use social media like Facebook less since the tradeoff of all of my personal privacy in exchange for baby photos or an angry political post seems like a bad deal. The tradeoff to fame is that you give up both privacy and anonymity. Now you might say, well that’s what I want, I’d like to be under the limelight, in front of the cameras, have X amount of followers. It sounds good in theory, but it is no different than being the CEO of a major company or the president. As the old saying goes, with great power comes great responsibility. Fame means not just the good but the bad are out there for the world to see. Basking in the limelight during successful times is the allure. The true test though is to bounce back from the failures, which I’ll elaborate more upon. I’d say giving up your privacy is less damning than what I’ll describe next, namely being at the mercy of the public. Being famous is similar to a company going onto the stock exchange. You now belong to the public. The public, however, happen to be the harshest and most cutthroat critics around. The public constantly demands more from you. Sure, your last film did well but that was last year after all. What have you done this year? You looked great in that photoshoot but now you’ve put on 5 lbs. God forbid something goes wrong, some incident happens. The public will turn on you in a hearbeat; as soon as the news breaks there’ll be jokes, memes, etc. Sometimes you can bounce back, and many have but this is where the test comes in. Many can’t and don’t. Their resulting lives end up being worse than if they were never famous. Problems only continue from there. In music you have the one-hit wonder phenomenon. Rather than being praised for a song everyone loved at some point, your lack of continued success makes you out to be something far worse than you were before. 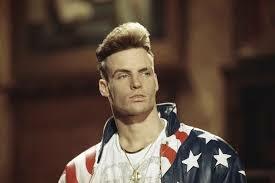 Think of Vanilla Ice. In acting you have type-cast syndrom, where a successful character cannot break out from it. Michael Richards will always be Kramer (look how well that ended). Dustin Diamond, or Screech, from Saved by the Bell, took a more vulgar turn to break away from his typecast as a goofy nerd, and in the process damaged his reputation. But could you blame him? What would you do in his situation? Look at the story of Michael Jackson as the epitome of this drawback to success. He died in debt, alone in his bed after his personal Dr. Feelgood drugged him to death. All because he couldn’t sleep at night. If you can consistently sleep well at night, your quality of life is by and large better than the last years of Michael Jackson’s life. Let that sink in. Getting back to the original point, now with social media we can see the lives of celebrities and try to model ourselves after them. But in doing so we are crafting a hollowed out version of who we are, with 90% of the focus on the superficial: our clothing, travelling, food, etc. The reality is these superficial things only matter to an extent. You get to know someone by sitting down with them, looking into their eyes, and sharing experiences together. Fame makes it difficult to form true relationships. Once you are well known, do people like you for your wealth or who you are as a person? Perhaps family members who stayed out of touch suddenly come back, now that you’ve made it. Can you trust them? Finally, you must have your financial affairs in order if you wish to be famous, otherwise you could overspend yourself into debt (Michael Jacskon once again) or be taken advantage of. You must know what your value is, be able to negotiate, and find a trustworthy agent and lawyers to help you. Goodluck there! Now on a final point, I’m aware that by maintaining a blog and promoting my YouTube channel I’m drawing attention to myself. So why am I doing this? I noticed that by reducing my time on social media I’ve been able to be more prolific in my writing and videos. I’ve thought about my philosophy behind this blog. My intent is to share my ideas, experiences, and hopefully help to influence people. It also helps with my writing skills and I noticed my speaking skills have been improved by having a YouTube channel. As for the rest, I’ll leave it up to fate.